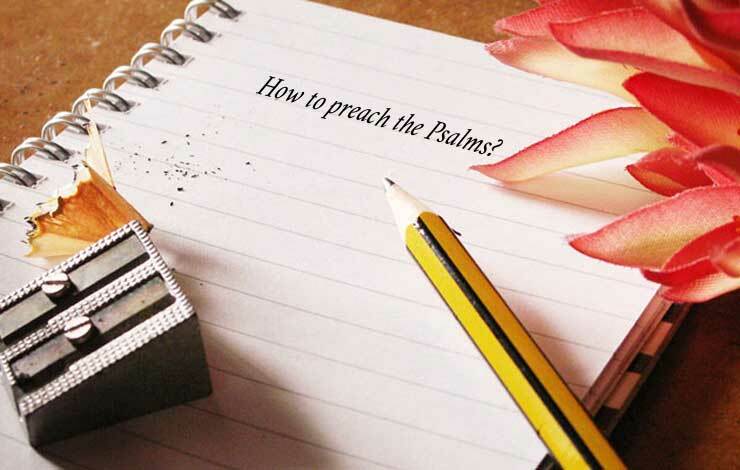 How To Preach The Psalms: Before you can preach the psalms, you will need a method of analyzing the psalms in order to prepare the psalms for preaching. 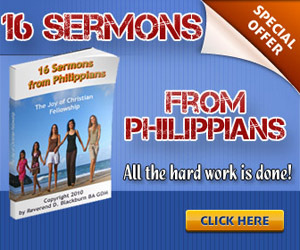 In other words, what must you know about the psalms in order to prepare the psalms for preaching? I found Leland Ryken’s five indispensable steps informative and helpful in preparing the psalms for preaching. When you discover the literary type of the psalm, you will gain a greater understanding of the makeup of the psalm. There are different ways to categorize the literary types but for this article I will categorize them as wisdom psalms, royal psalms, lament psalms, imprecatory psalms, thanksgiving psalms, pilgrimage psalms and enthronement psalms. When you discover the implied situation, you will find the historical context of the psalm. For example: Psalms 42 and 43 will make a lot more sense if you realize that the speaker is living in exile and therefore cannot worship God in the temple in Jerusalem. Once you know the literary type and the implied situation, you will need to find the main topic and theme. What is the psalm about and how does it explain what the psalm is about. With the literary type and main topic identified, you need to lay out the unity and structure of the psalm. A block diagram of the psalm will help you see the structure and unity of the psalm. Poetic texture is about detail. The structure of a psalm is like the three-by-twos that hold up the wall. Walls are covered with panels. The details in the psalm (the actual words and figures of speech) are like the panels – the poetic texture. Poetic texture consists of words, images, metaphors, similes, apostrophes, personifications, hyperbole and any other figures of speech. These are what actually communicate the meanings. The first four steps are very important to understanding biblical poetry. The fifth step involves the verse form of parallelism. There would be no biblical poetry without the verse form of parallelism. English poetry is based upon rhyme and meter. Biblical poetry is based upon parallelism. Poetic parallelism states and idea in the first line and then reinforces it in the second line. There are several devices used in biblical parallelism. There are synonymous parallelism, antithetical parallelism, synthetic parallelism, emblematic parallelism, alternate parallelism and chiastic parallelism. Before I started preaching through the psalms, I spend many months studying how to interpret the psalms so that I could preach the psalms. 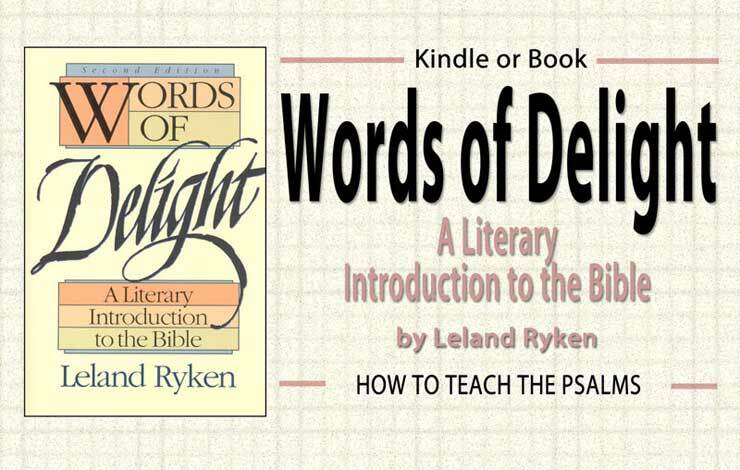 Leland Ryken’s book, Words of Delight: A literary Introduction to the Bible was one book that was most helpful. I have mentioned several books below that were helpful also.